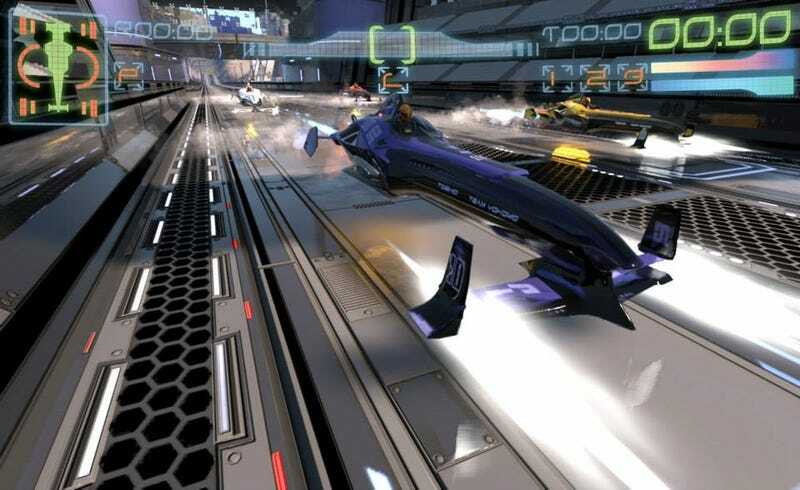 WipEout games have been synonymous with PlayStation platforms ever since the PS1. When Sony closed the studio responsible for the futuristic racing series in 2012, it looked like the PS4 wouldn't be getting a WipEout game. But it—and the Xbox One—might be. Sort of. Formula Fusion—a newly announced game from R8, a new collective made up of former Studio Liverpool folks—looks like it's going for the exact kind of techno-fabulous speed combat experience that the WipEout games delivered. It's got hovering vehicles moving at supersonic speed, customizable weapon upgrades and tunes from electronica artist Dub FX. You'll see the name Slamjet Racing in there but that's an old moniker that's since been changed. Formula Fusion is being aimed at PS4, Xbox One and PC for 2015.